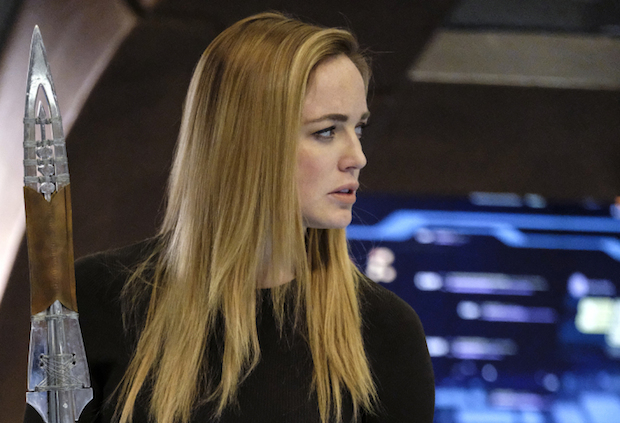 Where Does Legends of Tomorrow Go From Here? 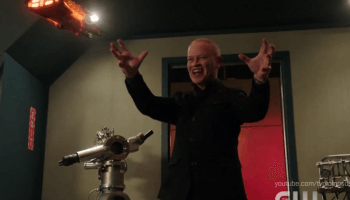 Leave a Comment on Where Does Legends of Tomorrow Go From Here? If someone told me that from this point forward I could only watch one of the Arrow-verse shows I, without hesitation, would choose Legends of Tomorrow. That’s a considerable turnaround from a year ago when I made it all the way through Legends’ first season mostly out of spite. It was such an easy show to hate-watch, particularly whenever the hawk people were on screen or Rip yet again proved to be the worst captain ever. Thankfully, the hawk people are long gone, and Legends season 2 wisely humbled Rip and even made him a villain for several glorious episodes. Amara and Nate filled out the cast perfectly, and the chemistry among the characters fell into a perfect groove. Plus, the infusion of compelling villains as well as a more open embrace of an episodic structure completely turned the show around. Thus, it is that when season 2 concludes with Sara looking out on a dinosaur-infested Los Angeles in 2017 and observes “I think we broke time” I am ready for season 3 to start right away. Obviously, that’s not going to happen. A third season has been ordered, but it probably won’t arrive until October. Showrunner Phil Klemmer has hit the interview circuit fairly hard recently and admitted that while next season will bring new cast members and largely revolve around the aftermath of the time-breaking decisions the Legends made in the finale (“Aruba”) he can’t actually go into specifics because they’re literally still figuring it all out. However, while they’re figuring it out I am left to ponder the following thought: Legends is finally on its own. The show that’s always been a weird Frankenstein’s monster stitched together with Arrow and Flash’s spare parts might finally have to make due by itself. That’s scary because a significant reason for the creative rebound this season was the addition of the Legion of Doom, none of whom actually originated on Legends. 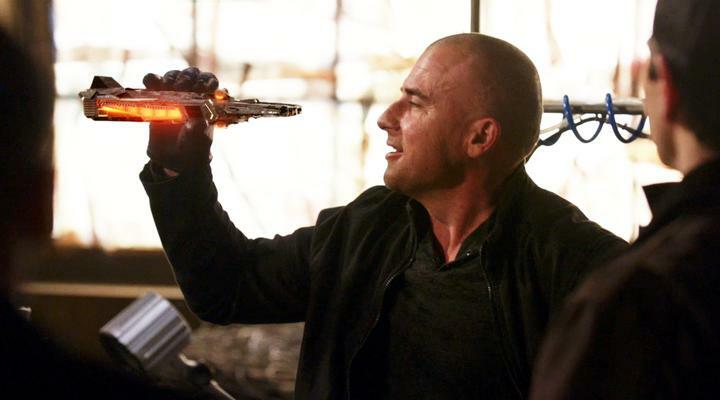 Malcolm, Damien and Thawne all came from elsewhere, and were working toward goals which were unique to storylines that had already played out on either Arrow (Malcom’s family/League of Assassins issues, Damien’s desire to prevent his death by Green Arrow) or Flash (Thawne’s need to undo Eddie erasing his bloodline). Legends did as much as it could to communicate those backstories to us through dialogue, but the journey was so much more compelling if you already knew these villains from their days on Arrow/Flash. Similarly, the two primary emotional arcs of the season among the actual Legends involved Sara’s ongoing grief over Laurel and struggles to become a leader and Mick’s slow embrace of his better side. The former, again, was directly indebted to actions which originated on Arrow. Sara and the Legends played no part in Laurel’s death, and were left to simply react to storytelling decisions made on a different show. That a character death on one show would so greatly influence another could be considered one of the big strengths of the Arrow-verse. It speaks to the interconnectedness, and considerably adds to the fun and sense of observing a truly shared cinematic universe, far dissimilar to Marvel’s weak sauce attempts at interconnectedness between its movies and TV shows. However, that means Sara was still largely forced into responding to something which occurred elsewhere, definitely outside of her own show. Perhaps such dependency is inevitable. After all, from the get-go Legends was launched through a two-parter on Flash and Arrow. As a result, the only full-time character truly unique to Legends in that first season was Rip, and he was terrible, even if Arthur Darville’s Mal Reynolds fashion sense provided some nice visuals. Jump ahead two years and Sara saying goodbye to Laurel while also squashing any lingering self-doubt related to her dark past is the culmination of a character journey which predates the existence of Legends. It works just fine, but it still gives Legends the feel of a show that’s still finishing up somebody else’s homework. If they want to do an entire episode with a shrunken Wavewider next season I’m cool with that. This all raises the question of whether or not season 2’s creative revival will continue into next season. The Legion is gone. The only lingering threat which originated outside of Legends is Black Flash, who just might have something to say about their timeline alterations. Currently, the show appears temporarily untethered from what’s happening elsewhere in the Arrow-verse. So, going into season 3 Legends seems perfectly set up to finally succeed or strike out on its own, stand up as the true premiere show in the Arrow-verse and revert back into being a curious indulgence easily skipped by most. Come October, though, I honestly can’t say if I will still be watching Arrow or Flash. Legends, though, it’s not even a question. I can’t wait to see what these knuckleheads get up to next. What do you think? What do you want to see from Legends next season? Do you actually find it annoying the way Legends now seems to exist in its own timeline? Who would be a good, unique-to-the-show villain? Is there any way they could add Booster Gold? Did you actually like the first season more than the second? Let me know in the comments.